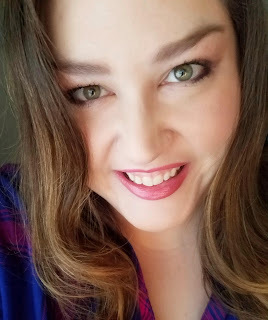 Are you looking for that perfect lip color to wear for this upcoming Valentine's day or maybe just a gift idea or a fun treat for yourself? 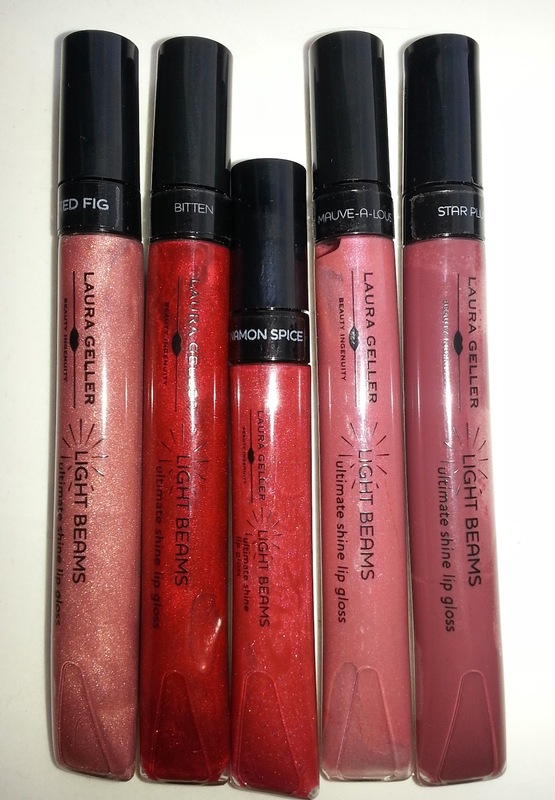 I would definitely recommend checking out Laura Geller Light Beams Gloss on the Glow in this 5 piece set, available on QVC.com, or individual/smaller sets on LauraGeller.com. These retail for $15.30 individually right now, so you are getting a great deal with this set where you receive 4 full size and 1 travel size gloss for only $30! 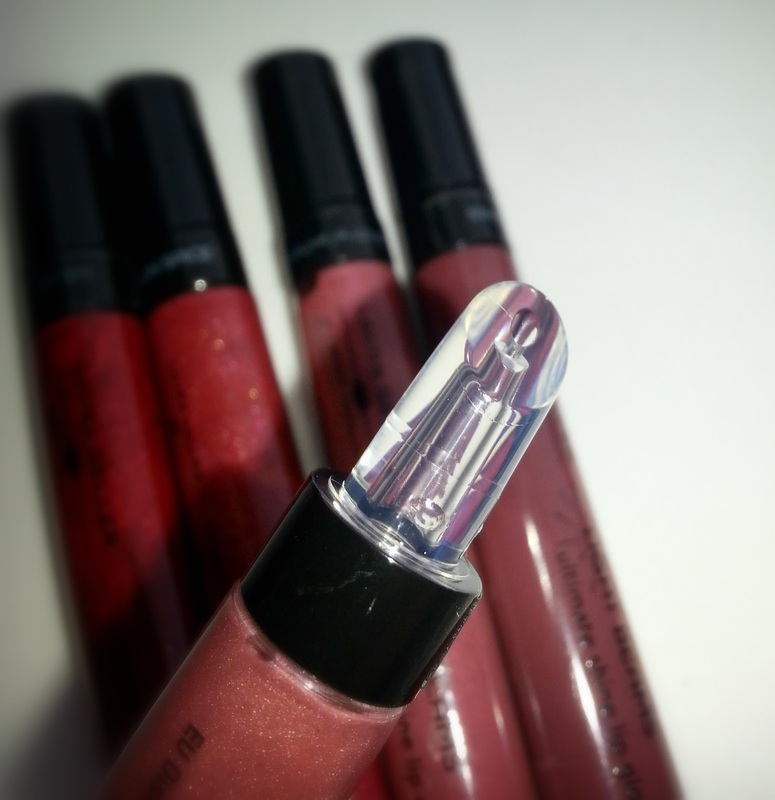 What is it: A collection of Laura Geller's Light Beams Ultimate Shine Lip Glosses, featuring four full-sized lip glosses and one fun travel-sized lip gloss. Light Beams is a high-shine, lightweight lip gloss infused with fruit and plant oils such as cranberry, pomegranate, apricot, and grape seed oil to promote and deliver comfortable, healthy-looking lips. Offering ultra-smooth wear, this formula also contains moisturizing, nourishing, and conditioning ingredients such as jojoba oil and shea butter to help keep lips in optimal condition. 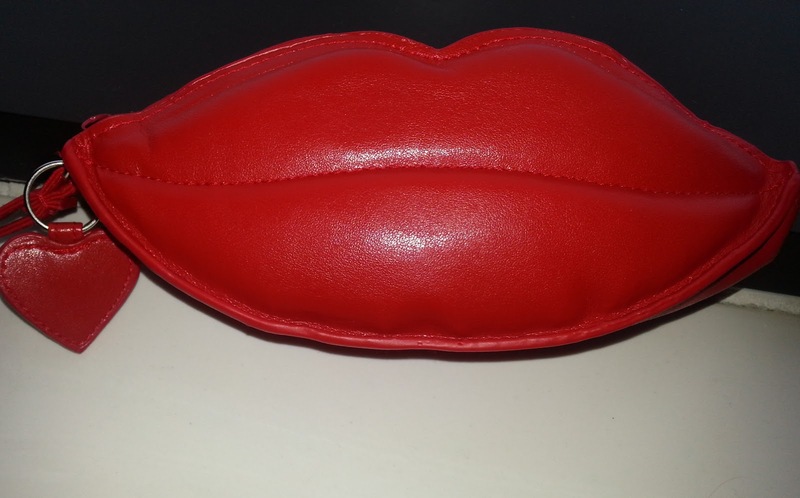 This set includes an adorable cosmetics bag, perfectly fitting for Valentine's day! 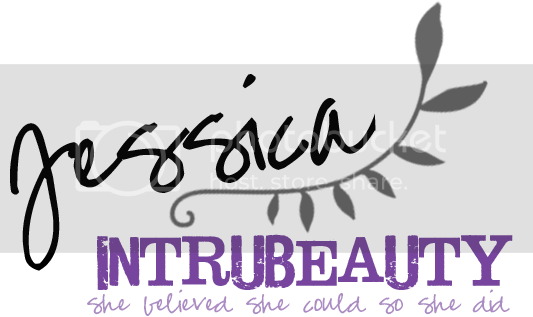 This also contains a small mirror for easy application on the go! This contains a nice selection of wearable colors. Mauve is the easiest color to wear and Bitten would be the more tricky color for some to wear. Overall, I think the average woman would get a lot of wear out of this set. 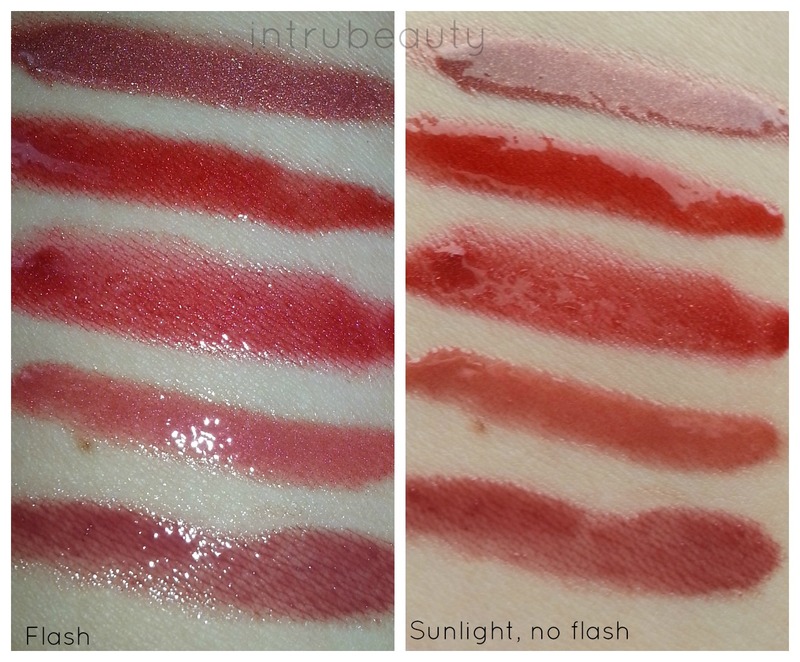 I found application to be good, especially with Fig, Mauve and Plum. Bitten which is a sparkly red, I did notice some unevenness in appearance. 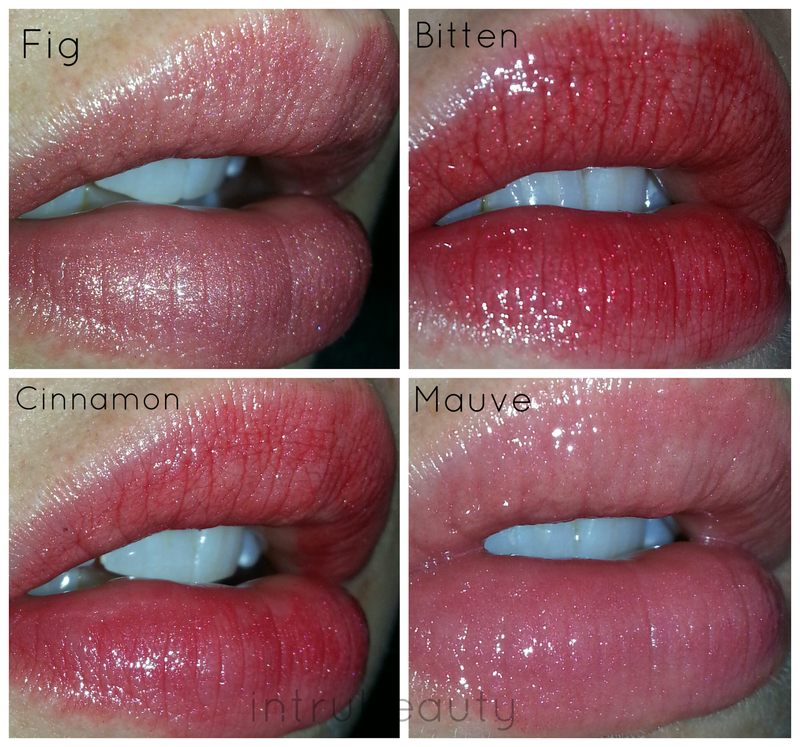 These felt really moisturizing on the lips. This really is a great deal at $30 since you get 4 full size products which retail at over $15 alone, plus the travel size is still really good amount of product at .17 oz. What do you think of the Laura Geller Light Beams 5 piece set? Comment and let me know which shade is your favorite, where you would wear one of the colors to or which ones you would most like to mix, or just what your plans are for Valentine's Day!